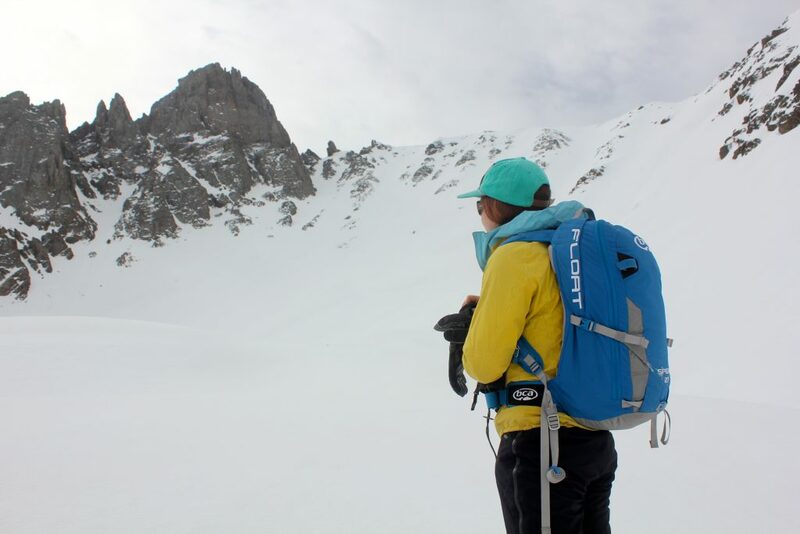 Airbag backpacks are becoming an increasingly standard part of peoples’ backcountry safety kit. It’s hard to argue with their effectiveness but it can be hard to bear the thought of carrying so much extra weight. 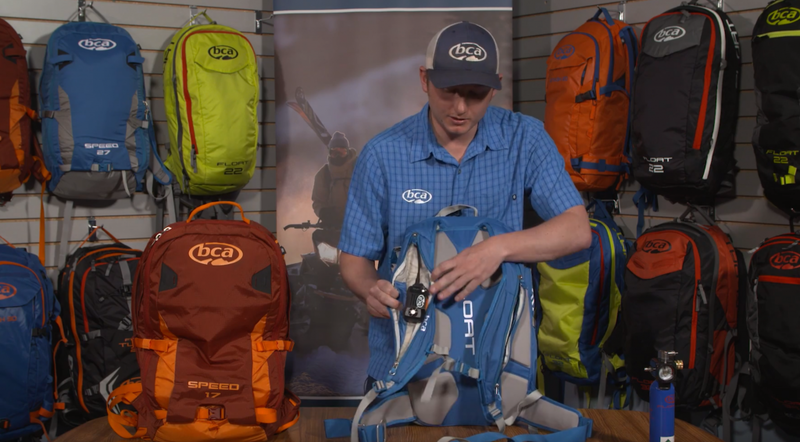 Enter the BCA Float 27 speed pack, an airbag system with a functional pack that doesn’t trade weight for safety. 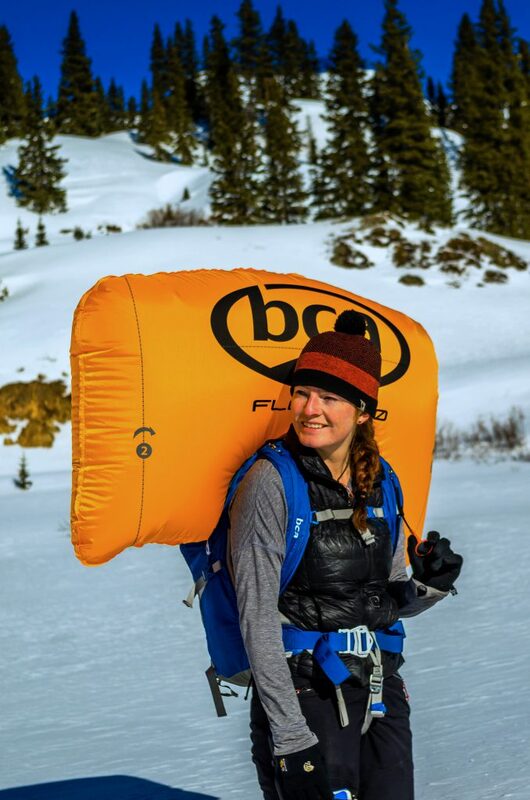 The BCA Float 27 Speed Avalanche Airbag 2.0 is an upgrade that makes rescue equipment more accessible for recreational and professional backcountry users. To test the pack I put it to work in a variety of settings–ski mountaineering in the San Juans, teaching hut-based backcountry ski courses in the Tetons, glorious powder skiing in the Spanish Peaks and instructing avalanche courses around the West. And, from midwinter to late spring, it performed. The most appealing improvements seen in the Float 2.0 are weight reduction and improved fit. Weighing in at 5.7 pounds (2567 grams) with the cylinder, the Float is one of the more lightweight full-size airbag packs on the market. In addition to being lighter, the redesigned Float pack has a sleeker and more comfortable design. As a smaller person (5’5” on a good day) I have trouble finding airbag packs that fit reasonably. Though the “one size fits all” model used by BCA is a stretch, this pack is a step in the right direction. 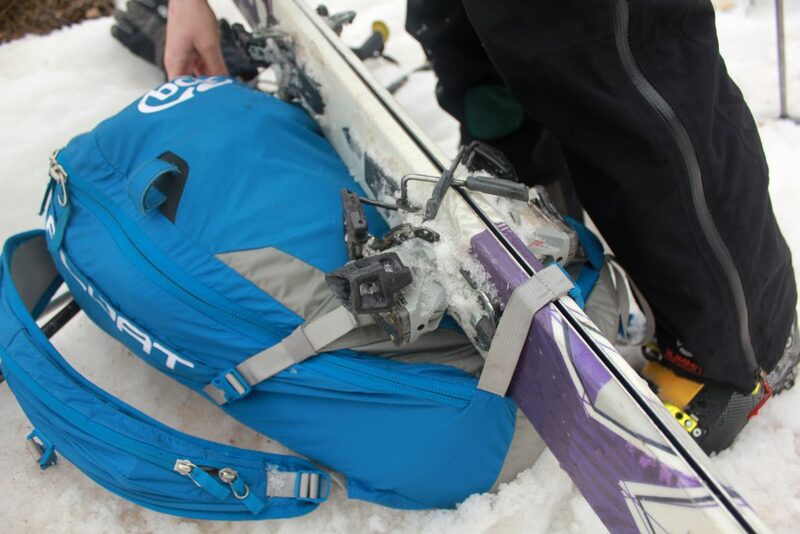 Many of my ski partners tried the pack on and most said it fit comfortably. Less obvious but more important is the redesign of the pack’s internal airbag system. The Float 2.0 engine is 30 percent smaller and 15 percent lighter than the Float 1.0 engine. The cylinder size has been reduced by approximately thirty percent but has maintained the same inflation power by increasing the PSI of compressed air in the Float 2.0 canister to 2700-3000, compared to 2500-2700 in the Float 1.0 canister. Overall, the airbag system has lost 6.8 ounces while retaining all of its function. In addition to being lighter, the redesigned airbag system makes more efficient use of space. The Float 2.0 engine nestles into the airbag compartment, making for more usable space in the packs’ main compartment and reducing the risk of inadvertently damaging the engine system. The plumbing between cylinder and engine is shorter and the new metal toggle attachment to the pack is less cumbersome. This makes moving the airbag system in and out of the pack easier, and reduces the risk of incorrect reinstallation. With 27 liters of usable space, the Float seems adequate for carrying all of your needs for an average day of touring. But without a dedicated rescue equipment pocket, the way a shovel blade fits into single-compartment pack drastically reduces the packs usable space and volume. I carry one of the larger on the market, because if I need to dig out a friend (or dig a quick test pit) I want to be able to do so quickly and efficiently. However, this shovel blade barely fits into the Float pack and makes the front of the pack rigid, therefore reducing volume, and the handle needs to be broken into two pieces, which would reduce response time in the event of a burial. The reduced useable volume of the pack makes packing the essentials and accessing them in case of emergency, more difficult. 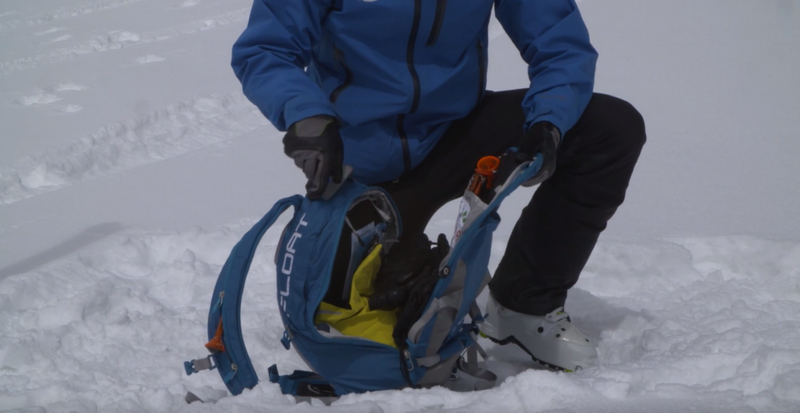 For spring skiing, when I am more comfortable carrying a smaller shovel for a number of reasons, the pack was accommodating and I felt like I was able to utilize all 27 liters of volume. The pack fits BCA shovels best, which is useful for brand loyalists but doesn’t work for everyone. When filled to the brim, the releasable zipper on the airbag compartment sometimes popped open, resulting in my airbag unfurling and my pack flopping open. Since most people using an airbag pack will be carrying a full kit of rescue equipment, I hope that BCA continues to improve pack design to make bringing the essentials easier. My concern is that the lack of space leads to compromised decision making about what to pack. Items such as a big puffy jacket can get demoted from “necessity” to “luxury” if pack space simply won’t accomodate for it. After a full season of use, the Float 2.0 remains in excellent condition. The ripstop nylon is light but durable, and the extra heavy nylon in high wear areas will contribute to the pack’s longevity. The outside of the pack shows no snags or wear from forays into tight trees, and the inside hasn’t been scratched or abraded by sharp shovel blades or probe points. The Float 2.0 has a number of other small useful features. 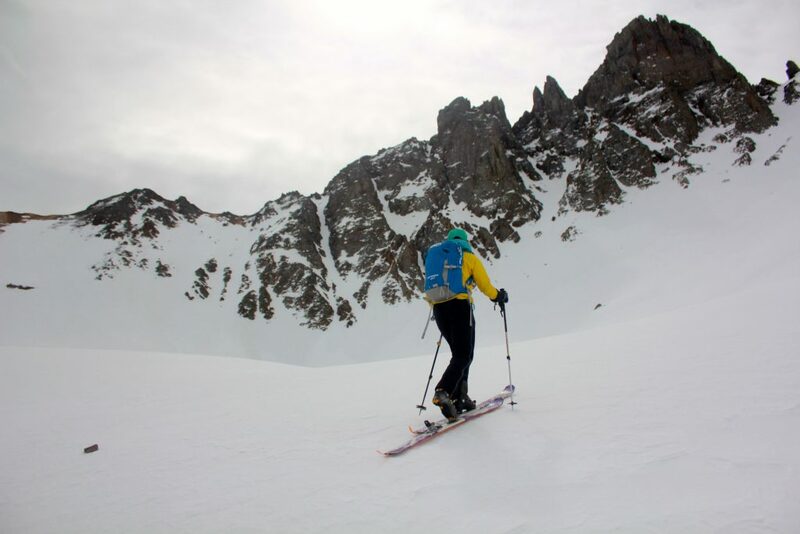 There is one ice axe loop that also functions as a diagonal ski carry for skinny skis, hideable straps for fat skis and splitboards, and a gear loop on one hip belt. There is even a sewn webbing loop on the hipbelt for a carabiner, for ease of attaching your leg loop. The Float is compatible with BCA Link Radios and easily fits similarly sized Motorola radios. Two features that I would like to see on future iterations of the Float pack are an external helmet carry pocket, as carrying a helmet inside the pack is not possible, and a rope attachment system. These added features would upgrade the pack from great to excellent and expand its usefulness. 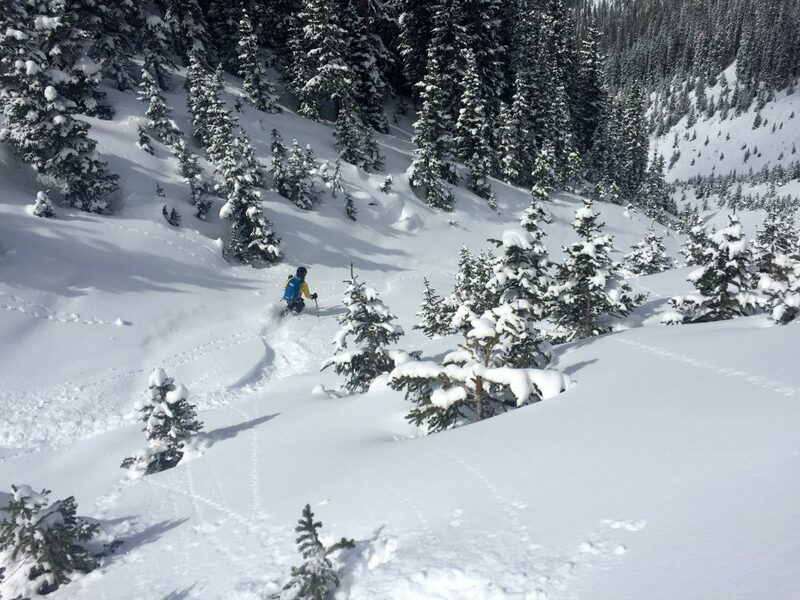 The BCA Float 27 Speed Avalanche Airbag 2.0 is a welcome improvement in the realm of avalanche safety equipment and airbag packs. 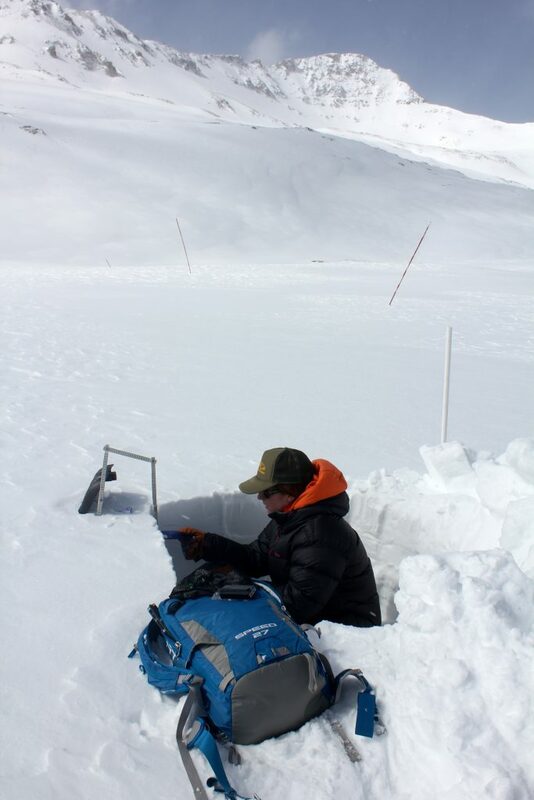 Airbag packs are no replacement for dialed snowpack assessment and rescue skills, but are exceptionally effective at increasing survivability in the event being caught and carried. 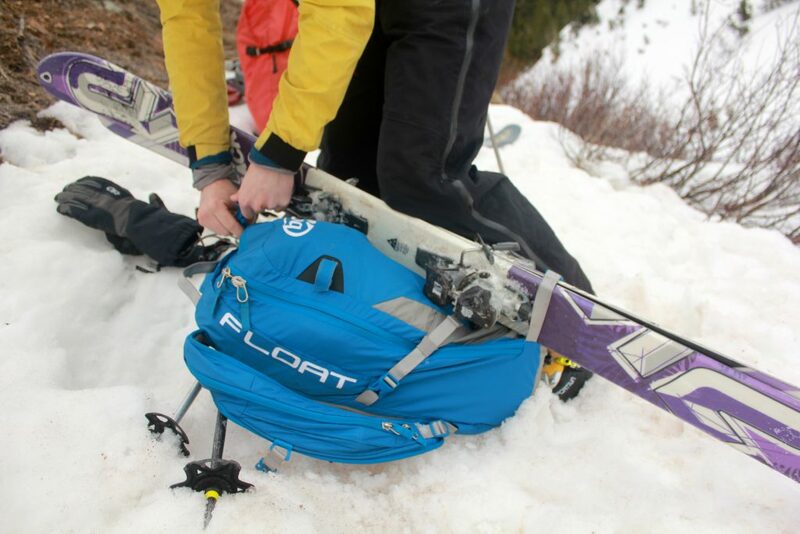 Overall, the Float 27 is an excellent airbag in a decent pack. The lighter construction of the airbag system and improved fit of the pack makes the Float more appealing to use, and the high-quality construction ensures that the pack is a worthy investment. This is a pack for people looking to go light and fast. A number of small design changes, such as a separate rescue tool compartment, external helmet pocket, and rope attachment, would make the pack even better. 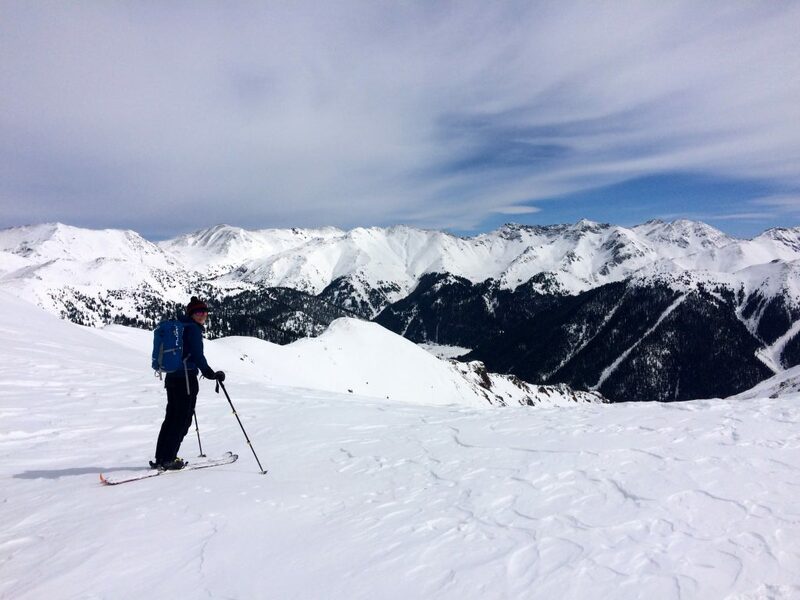 However, these inconveniences are a small trade-off for the safety and insurance provided by skiing with an airbag pack. Shop the BCA Float 27 on Outdoor Prolink. Not a member? Apply today! Alyssa Young works as a guide and educator year round. 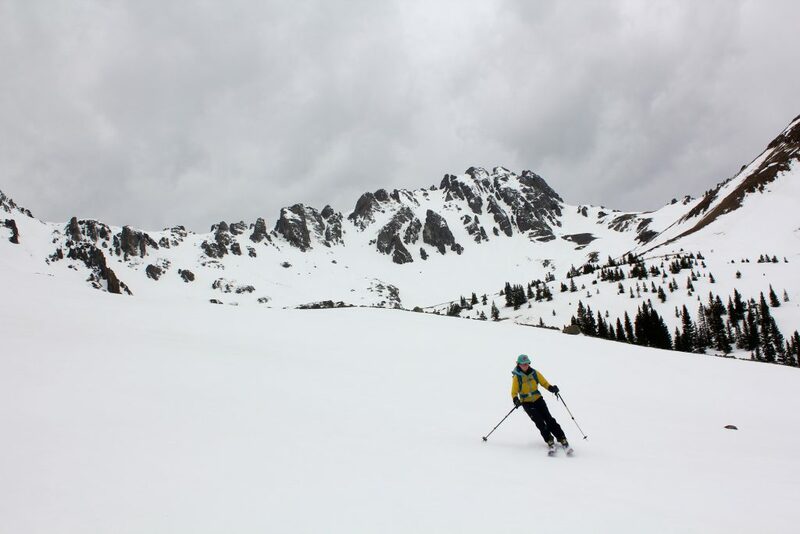 She bounces between instructing snow science and avalanche courses, guiding in the Sierra, and horsepacking in Patagonia. Alyssa loves mountain travel as much as she loves botanizing and gleaning stories about the landscapes she moves through, and is especially inspired and motivated by sharing these experiences with others. Additional content and instructions for installing your 2.0 cylinder and repacking your pack. Courtesy of Backcountry Access.